For a quick bit of background, millimeter wave (mmWave) corresponds to the higher-frequencies carriers like AT&T and T-Mobile plan to use for early 5G deployments. Unfortunately, those mmWave frequencies don't propagate as well as the lower frequencies we're all used to, and some of them can be easily obstructed by... pretty much anything. Even holding your phone "wrong" could block the signal. That, coupled with other engineering challenges like regulatory requirements and thermal problems associated with its use, has kept mmWave tech generally out of the hands of consumers, especially when it comes to mobile phones. 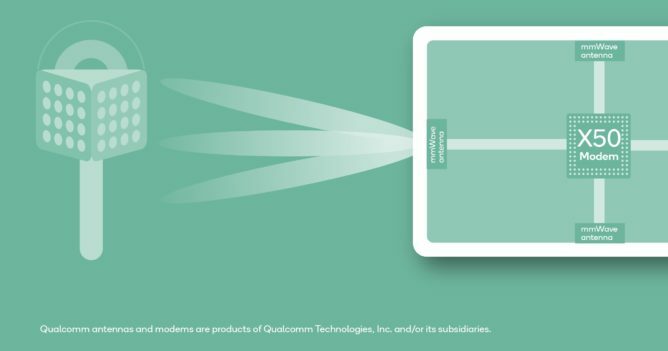 But thanks to Qualcomm's work with its new QTM052 mmWave antenna modules—which include reception-boosting technologies like beam forming, beam steering, and beam tracking—the issue of range should be at least partially mitigated. The new antennas support a combined ~4.5 GHz between 16.5 and 40GHz, with Qualcomm claiming up to four of them can be used together in a single phone, with all the conveniences of the radio transceiver, power management IC, RF front-end components, and a phased antenna array included on one solution. It even expects to see devices including the hardware available as early as the first half of 2019. Another module family (QPM56xx) announced in tandem will also be bringing 5G speeds to sub-6GHz frequencies, so this announcement isn't exclusive to the (much less useful) short-distance mmWave tech. This other RF module family works in tandem with its X50 modem, harnessing a handful of more generally useful sub-6GHz frequencies—NR frequency bands n77, n78, and n79, to be specific. To be honest, I don't have a lot of hope for mmWave as a realistic consumer solution outside super-congested areas like crowded event floors or auditoriums, but plenty of carriers and hardware suppliers seem to think otherwise so I could be proven wrong. Either way, at least 5G developments at lower, more generally useful frequencies is also continuing. Both the new antenna and the sub-6GHz module are being sampled to Qualcomm's customers as of now, so consumer-facing hardware should be in the pipe. 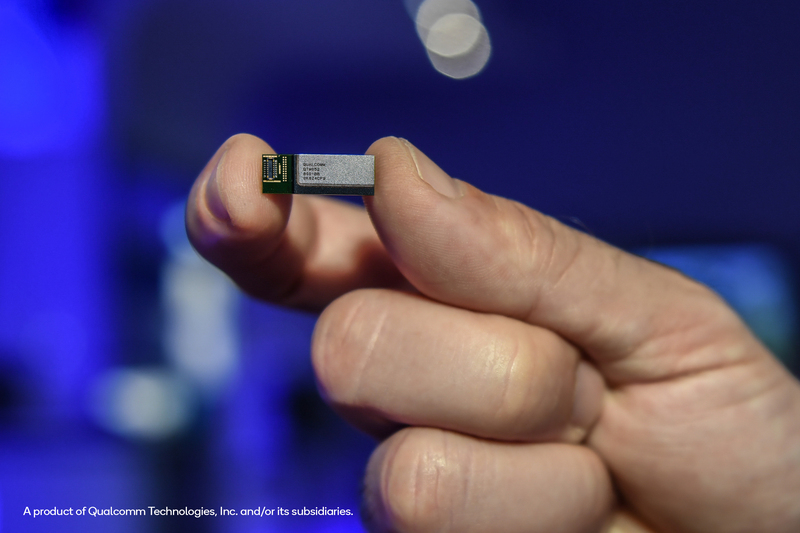 Qualcomm Technologies, Inc., a subsidiary of Qualcomm Incorporated (NASDAQ: QCOM), today unveiled the world’s first fully-integrated 5G NR millimeter wave (mmWave) and sub-6 GHz RF modules for smartphones and other mobile devices. 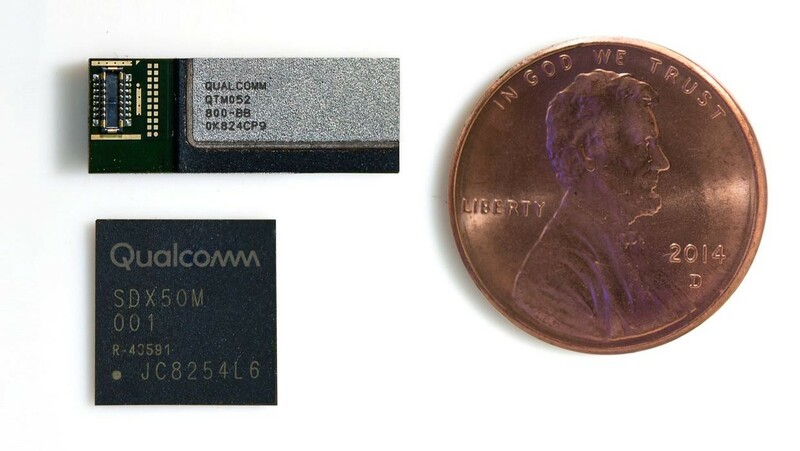 The Qualcomm® QTM052 mmWave antenna module family and the Qualcomm® QPM56xx sub-6 GHz RF module family pair with the Qualcomm® Snapdragon™ X50 5G modem to deliver modem-to-antenna capabilities across several spectrum bands, in a very compact footprint that is suited for integration in mobile devices.